The renowned mobile phone brand is introducing the new G6 Play model. The phone has a 5.7” IPS LCD screen in excellent resolution with a durable and lightweight aluminium frame. 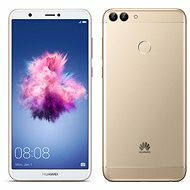 The eight-core processor along with the fast memory ensure that the Android 8.0 operating system and all the apps run smoothly. And the fingerprint reader provides secure access to all your apps and data. You can also look forward to the high-capacity microSD card, Dual SIM, GPS, LTE and NFC features. 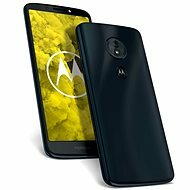 The Motorola Moto G6 Play features a powerful 8-core processor. It smoothly runs the Android 8.0 operating system with 3GB memory support. You can easily watch videos on the large 5.7" LCD IPS display protected by durable Gorilla Glass 3 technology. Thanks to the HD resolution, you'll enjoy every second of your favourite movies or TV shows. Another reason for choosing this smartphone is its remarkable camera set. The primary camera has 13Mpx resolution, and the secondary camera is armed with 8Mpx resolution. The camera also responds to touch focusing on a particular point on the screen, features face detection, and can even handle automatic panorama or dynamic HDR shots. You'll also enjoy the high definition video recording feature. The Moto G6 Play can record videos in Full HD at 30fps. 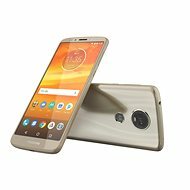 For shipping to other EU countries visit this page Motorola Moto G6 Play Gold. 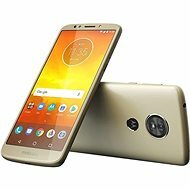 Für Versand nach Deutschland, besuchen Sie bitte Motorola Moto G6 Play Gold. Chcete doručit zboží do Česka? Prohlédněte si Motorola Moto G6 Play Zlatá. Chcete doručiť tovar na Slovensko? Prezrite si Motorola Moto G6 Play Zlatá. 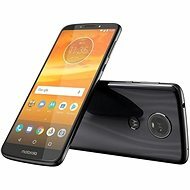 Für Versand nach Österreich, besuchen Sie bitte Motorola Moto G6 Play Gold. Magyarországra történő kiszállításért tekintse meg ezt a termékoldalt: Motorola Moto G6 Play - arany.